See what’s inside this special digital-only January 2018 issue of Kayak. This edition of Kayak, featuring guest editor Natasha Henry, shares some amazing stories and examples of the ways Black Canadians built and shaped this country. The United Nations’ International Decade for People of African Descent (2015 to 2024) encourages us to “promote a greater knowledge of and respect for the diverse heritage, culture and contribution of people of African descent to the development of societies” and this issue of Kayak helps to do just that. Give the Greatest Gift in History! 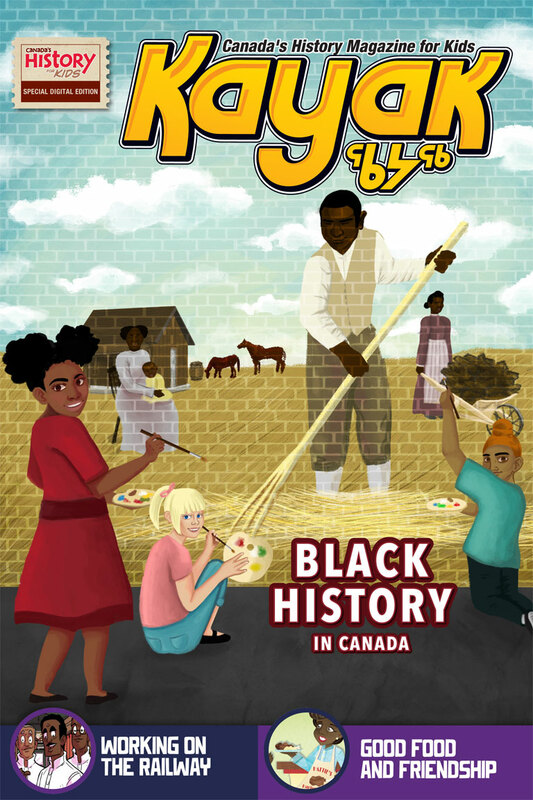 Kayak: Canada’s History Magazine for Kids — 4 issues per year for as low as $14.95. Please note that this issue is only available in digital format. Whether you like to play sports or watch them; ride your bike or be part of a team, this issue of Kayak brings you great stories from our sporting history. This issue of Kayak is all about the places we live — our homes and communities. See what’s available in the June-July 2017 special collector's issue of Canada’s History magazine.